MARCH 2011  1971 Chevy C-10 pickup. 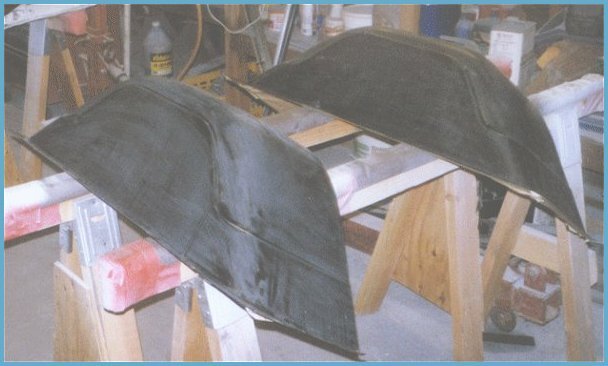 New reproduction lower door frame rocker panels, tailgate and cowl induction hood were installed prior to the 1971 Chevrolet C-10 pickup truck heading off to the painter. Additionally, to facilitate the cleanest look possible when reassembled, the truck was stripped down to the bone, i.e., glass, wiring, lights, interior, etc. were removed. Driver side view of the photo above. 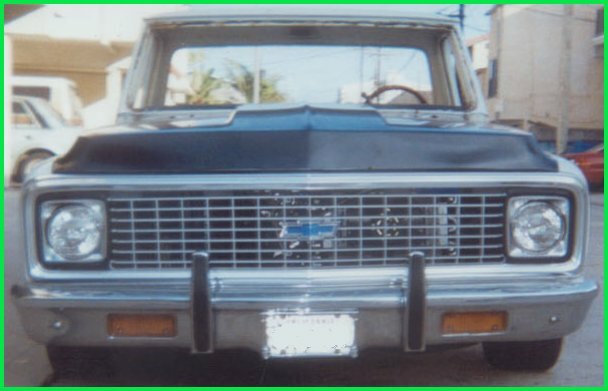 Along with the new reproduction cowl induction hood, a new reproduction inner grill, a new reproduction polished aluminum outer grill, a new reproduction Bow-tie grill emblem, new reproduction headlight bezels along with new reproduction front bumper guards were also fitted to the 1971 Chevrolet C-10 Shortbed Fleetside pick-up truck. 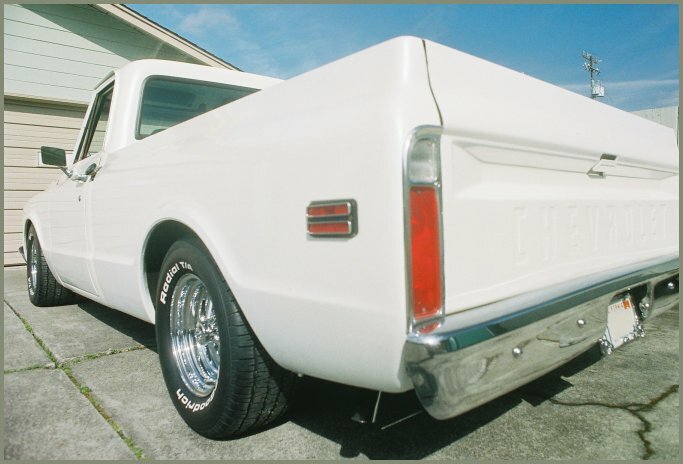 Most of the reproduction parts for the 1971 Chevrolet C-10 were purchased at The Truck Shop in Orange, CA. 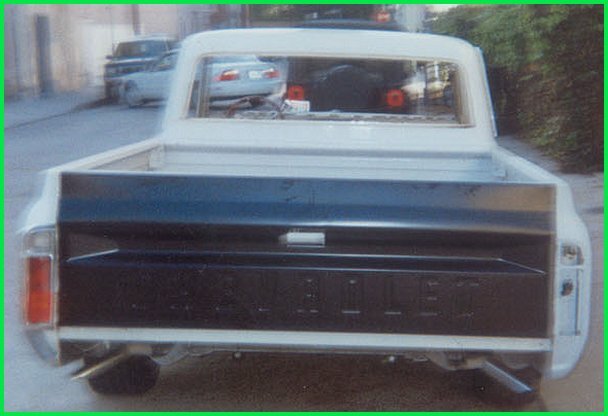 A new reproduction tailgate assembly was also fitted to the 1971 Chevrolet C-10. 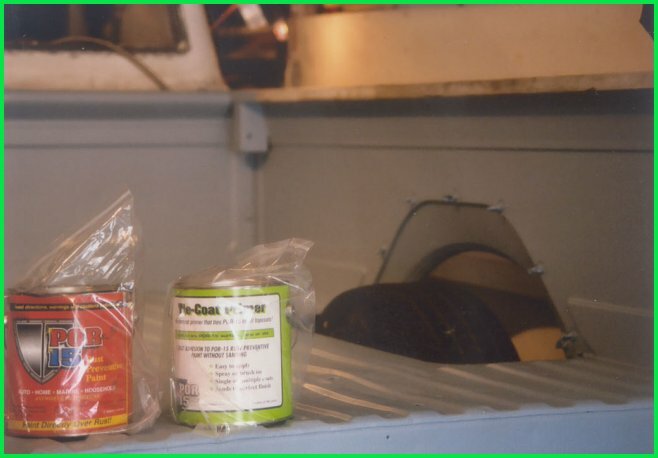 After grinding, sanding and wire brushing of the entire bed area ( floor, side and rear panels ) I then applied.a coat of POR 15 rust preventive paint and followed it up with a couple of coats of POR 15 UV protection primer to the entire bed area of the 1971 Chevrolet C-10 pickup truck. Shown here are the new reproduction wheel wells for the bed of the 1971 Chevy C-10 pickup undergoing prep for primer and paint.